In the past year, Procter & Gamble, one of the world’s most iconic consumer products company, has come under fire from investors and an activist investor for poor financial results. According to Trian, the hedge fund run by Nelson Peltz, the company has suffered from a lack of brand innovation and from failures to win in digital and in developing small, medium-sized and local brands. Despite P&G’s issues, the conglomerate is not alone. While many investors have long discounted opportunities in the consumer products space, there is now a wave of savvy new upstarts chipping away at the market share of the dominant players, like P&G, Kimberly-Clark and others. For traditional players, new technologies have broken down many of the barriers to entry and the prominence of millennials is upending how companies and their brands should cater to consumers. The traditional players have traditionally grown by leveraging two important characteristics: scale in distribution and long-standing relationships with retailers that ensure priority shelf-space. Yet, these strengths are becoming increasingly irrelevant. First, there has been the shift to a digital shopping ecosystem, heralded by the growth of Amazon and the concept of direct-to-consumer online distribution channels. Second, social media and the internet have become critical drivers for building “brand equity.” Perhaps unsurprisingly, the large traditional players have been losing out to younger, more tech-savvy digitally native vertical brands. These digital-native vertical brands, which started as e-commerce brands, have been most successful in reaching what is becoming the most important consumer demographics today: millennials. Examples of these brands range from those which are still independent — Harry’s, Warby Parker, Cora and Allbirds — to those which have been acquired by the largest consumer goods companies — Dollar Shave Club, Sir Kensington and RXBar. The pressure millennials now exert on older companies to adapt their brands to modern consumers can also be evidenced by two major companies’ recent efforts to rebrand: Weight Watchers becoming WW and Dunkin’ Donuts soon to become only Dunkin’. 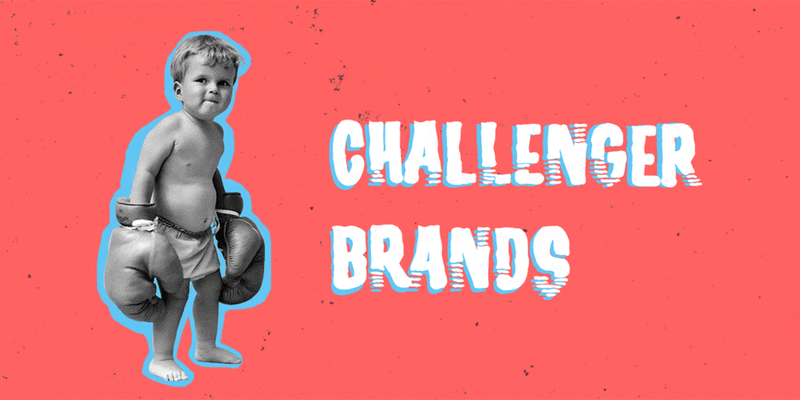 As millennials have brought new changes to consumer tastes, there is now a new battle brewing between how a brand can best reach consumers. Within the context of the confluence of both changing consumer tastes and the rise of new digital distribution channels, it becomes valuable to investigate what characteristics can make a brand thrive in this new age. First, as before, building brand equity is critical, and in doing so, new upstarts must, and do, build on new consumer trends. An important trend is going local: local brands are growing at double the speed of global brands according to a study of over 1 billion households in 44 different countries. Incumbents should either consider researching and developing new brands that suit that purpose, or acquire them. With that also comes reaching customers through greater customer segmentation. A WeissFund portfolio company that has had success with this is Breaux Capital. The fintech company has been able to start building a customer base by specifically targeting black millennial savers. In that sense, it is more local, small and personalized than any large bank currently can be. Second, although not all digitally-native brands succeed, the importance of a digital enablement cannot be understated. Amazon presents an important distribution channel, but a successful brand cannot rely on Amazon alone to reach consumers online. The most successful new brands have dedicated direct-to-consumer online platforms tailored to a digital shopping experience. An article by Matt Heiman from Greylock Partners outlines how an upstart brand can benefit from an e-commerce distribution strategy when there is some form of built-in friction. The friction could concern, perhaps, the challenge of obtaining something from an offline channel (examples include, the trouble of buying razors, glasses and certain prescription medications) or the irrationality of price (the difficulty of price comparisons when buying mattresses). Another important consideration for building a brand tailored to an online channel is to have a product that can be sold easily online both in terms of its ability to ship and the cost of shipping. A digital orientation also extends to marketing, and the most successful new brands have shown themselves to be excellent at using social media to build brand equity. In many product categories, new upstart brands have many more Instragram followers than their traditional competitors. For example, in feminine care, Thinx has more than double the number of followers that the Kotex, Playtex and Always brands do. If successful with social media, new brands can take on incumbents by having drastically lower customer acquisition costs. For brand equity, the vertical is important since in some the brand matters more than others; in those when the brand matters less, then there are appealing opportunities for new potential brands. Third, data science is a tool that will power brands in the coming years. While some trends in millennials’ changing consumer tastes have been teased out, one important one is to acknowledge that tastes are now always changing. With that, the best way to adapt is to use data on consumer spending habits to help inform decision making as much as possible. Amazon has been a leader in that space. For example, with Amazon Basics products, the company uses its customer data to then decide what products to sell under its Basics product line based on for which product segments customers have the least amount of brand attachment to. By introducing its products, Amazon can then dilute the brand value of its competitors. Even smaller companies like Warby Parker and the Dollar Shave Club have been strong proponents of using data from online sales in decision making. Nonetheless, Matt Heiman from Greylock still points out that some of the most successful new consumer products companies provide products in categories less vulnerable to changing preferences, like shaving, feminine care or other more basic products. To conclude, while for decades a cabal of the same conglomerates dominated the consumer goods space, this past decade has witnessed the rise of new upstart brands, which have taken on traditional rivals and in many instances succeeded. To be successful, these new brands have shown that a local approach, a digital orientation and an ability to aggregate consumer data and use it effectively are all critical. For those entrepreneurs who are considering starting a consumer brand startup, there can now be a newfound hope for success. Karl Valentini is a junior studying Finance and Statistics with a minor in Mathematics. He has previously worked at two investment firms in NYC and London as well as a startup called Sonder based in San Francisco. He enjoys following football (soccer), traveling, long distance running and learning about Scandinavian culture. Feel free to reach out to him at karlvale@wharton.upenn.edu. WeissFund is dedicated to funding, promoting, cultivating, and supporting student entrepreneurship in the UPenn community. Working on a startup? Interested in partnering? Want to get involved? Drop us a line at apply.innovationfund@gmail.com.